Until she is found, Mollie's cousins say they will continue to share her picture throughout the Metro and ask that you do the same. The family and friends of Mollie Tibbets, missing since July 18 , have set up a reward fund in hopes that information leading to her whereabouts will find its way to authorities soon. "We believe Mollie is still alive, and if someone has abducted her, we are pleading with you to please release her," her mother, Laura Calderwood, said during a press conference Thursday morning. She urged anyone with information to call the tip line 1-800-452-1111 or submit tips via Crimestoppers of Central Iowa website. Anonymous tips funneled through Crimestoppers of Central Iowa will be shared with authorities and investigators working to locate Mollie while ensuring the protection of the identities of those providing information, she said. As of 10 a.m. Thursday, $172,000 had been raised for the reward fund. "It is our greatest hope that if someone has her, that they would just release her and claim that money that we have raised for her freedom," Calderwood said. Getting the information out beyond Mollie's community will be key to finding her, Greg Wiley said at the press conference. Wiley addressed the security technology behind the P-3 anonymous tip line, which encrypts and scrubs the identity and provides only an ID number. "If they contact us, we can protect their identity. ...We don't know who you are even if we wanted to know who you are," he said. "We have no way of contacting them back." Law enforcement gets information from Crimestoppers almost immediately. The search for Mollie Tibbetts has captivated the nation , but for two local women, finding her is personal. Brooklyn, Iowa — population 1,500 — is located about three hours east of Omaha. "Everybody waves to everybody, everybody knows everybody. I think most people leave their doors unlocked," said Mollie's cousin, Jennifer Kvammen. "I was in shock," said Kvammen. The 20-year-old's disappearance hits close to home: her cousins Jennifer Kvammen and Jodi Cross live in Council Bluffs. "You know, when I was first told, I was like, 'This is not real. She is going to come back, and she is going to come back,' " Cross said. The sisters have spent the past two weekends in Brooklyn with their family. "I think our main goal is to just provide emotional support and you know just talk about Mollie." One thing about Mollie is brought up time and time again: "Her smile — every picture you see, it is just contagious," Kvammen said. The soon-to-be sophomore is described as full of life. Unfortunately, this rural community is now on the nation's radar because of a missing woman. 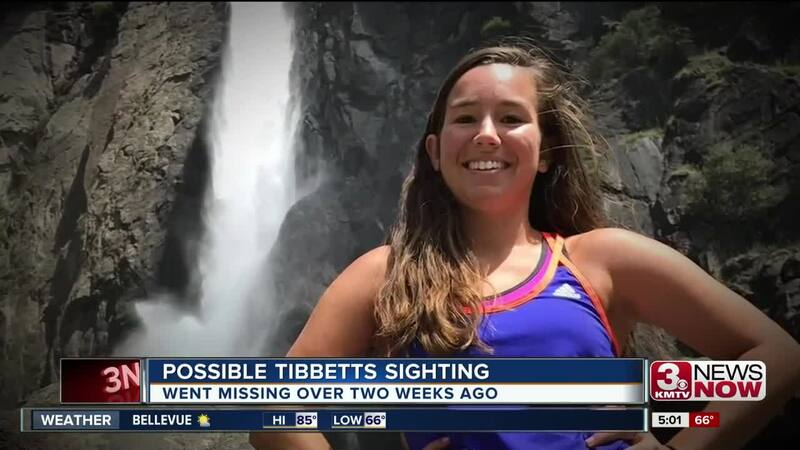 Authorities say Mollie Tibbetts was last seen on July 18 while out on a jog. So far, no arrests have been made, and no suspects have been named. "She is just a kind, loving person. I think that is why this is so hard — who would want to do something like this to her?" Kvammen said. Mollie's cousins say they can't dwell on the what-ifs, and they believe local and federal law enforcement officials are doing everything in their power to find Mollie. For now, Mollie's cousins will continue to share her picture throughout the Metro and ask that you do the same. "It just takes one person to see her, to recognize her, to be like hey I saw her. That might bring her home," Cross said. Cross and Kvammen say they will be back in Brooklyn this weekend and every weekend until Mollie is brought home safe. 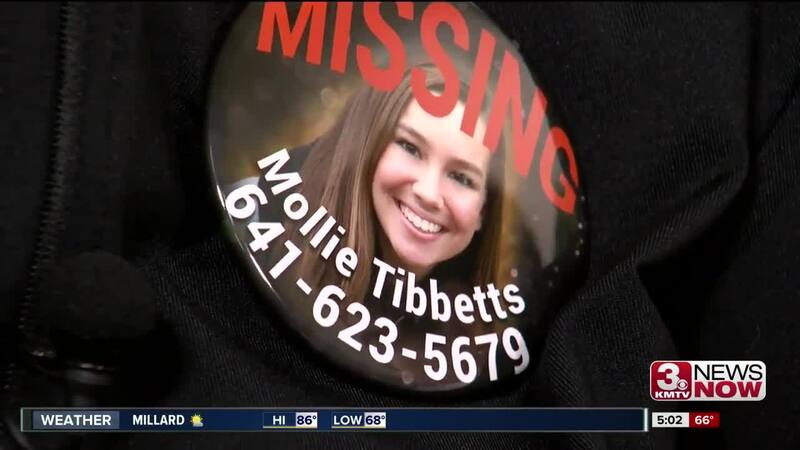 TIP LINE: If you have any information about Mollie's disappearance or whereabouts, call the 1-641-623-5679 if you have any information. No detail is too small, authorities said. CONTRIBUTE: The Bring Mollie Tibbits Home Safe Reward Fund has been established at First State Bank in Brooklyn, Iowa.